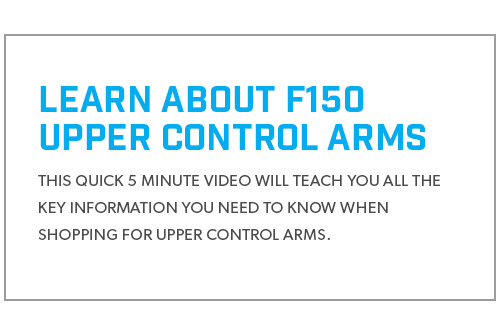 Uniball upper control arms for your 2015-2018 F150 improves your front suspension travel and helps you avoid spring contact in leveled applications, making them a must-have upgrade for just about anyone who's heading off the beaten path on a regular basis. 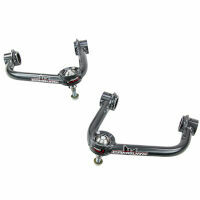 Aftermarket UCAs are easy to install, and make a great upgrade for any trail-ready F150 build. Once you have UCAs, take a look at our rear blocks and add-a-leafs. 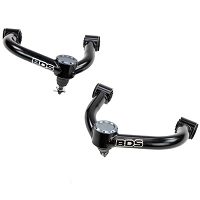 Whenever you add some front ride height to a 2015 to 2019 F150 with either a leveling kit or a coilover, the angle of your factory upper control arm gets thrown off, which is usually fine for folks that stick to street driving or aren't going higher than 2.5" on their leveling kit of choice. 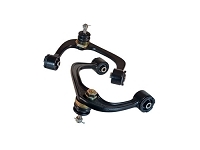 However, anyone articulating their front suspension on the regular has probably noticed a nice loud "thunk" or two when their front end fully droops from the factory UCA contacting your coil spring. 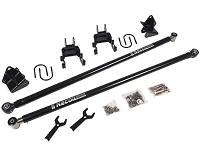 Folks with coilovers or aftermarket struts capable of longer travel have probably felt their front shock system of choice just suddenly stop during down-travel. Both issues are caused by the stock UCAs. The contact against the springs is caused by the thrown-off angles and the UCA now being able to fully come down against the spring. The sudden stops are the stock ball joint of the UCAs binding up during travel. Aftermarket UCAs with uniball joints fix both issues. 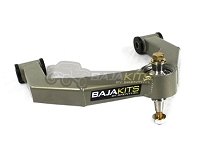 These UCAs avoid spring contact by adjusting the position of the actual arms of the UCA and avoid bind by using a uniball joint that has farther travel than OEM ball joints. 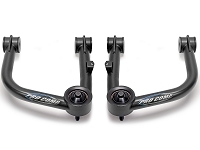 Our personal favorites for the 2015 to 2018 F150s are ICON's Tubular Uniball Upper Control Arms, which made it onto our 2015 F150 3.5L EcoBoost Project Truck as part of ICON's 2015-2019 F150 4WD Stage 2 Suspension System. ICON's UCAs correct all the issues of the factory UCAs when you take your truck taller and offer a smooth ride once you grease the living heck out of their polyurethane bushings.